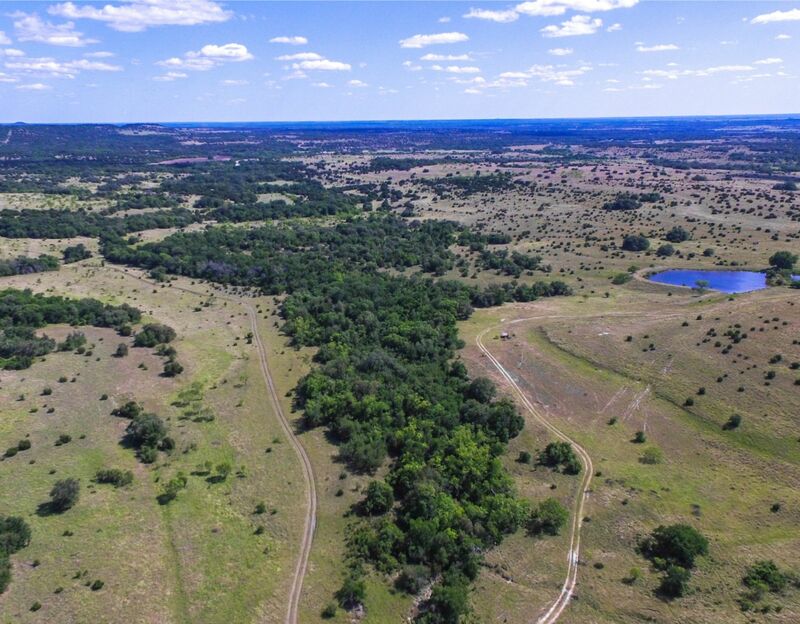 This beautiful ranch with rolling hills and gorgeous valleys lined with hundreds Pecan Trees is approximately 1 hour northwest of Austin. A 2 acre lake, stocked with bass and over 6,250 ft of both sides of a beautiful Fall Creek that run through a wooded valley with large Live Oak, Pecan and Elm trees. Recently game proof fenced, the native deer herd is under the management of a Wildlife Biologist. In addition, there are Wild Turkey, Feral Hogs and a variety of varmints present on the property. A strong water well and electricity at two points on the property give the new owner many options for a homesite.